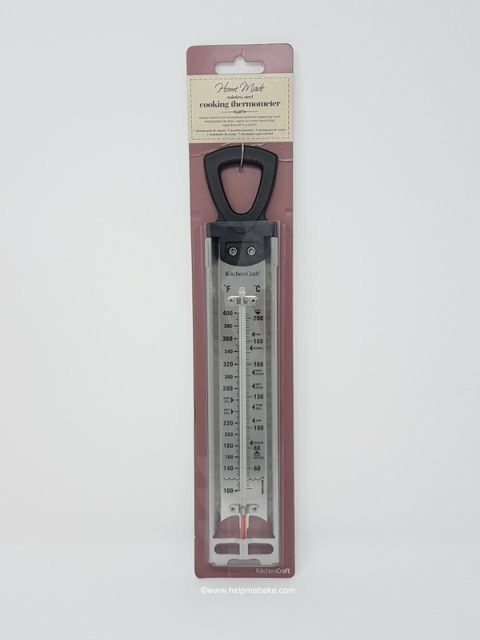 This Kitchen Craft Home Made Deluxe Stainless Steel Thermometer is a large thermometer with a height size of the 30cm x 5cm width. It has an easy grip plastic handle and secure clip on the back of the thermometer to keep it in place while in use. Due to its significant length, it can be used in both small and larger pans. 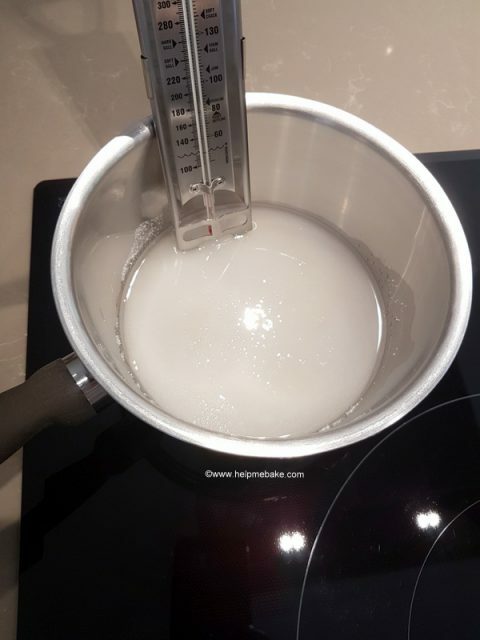 In order for the thermometer to work effectively, it has to be immersed in the pan prior to heating and should be allowed to acclimatise with your liquids. 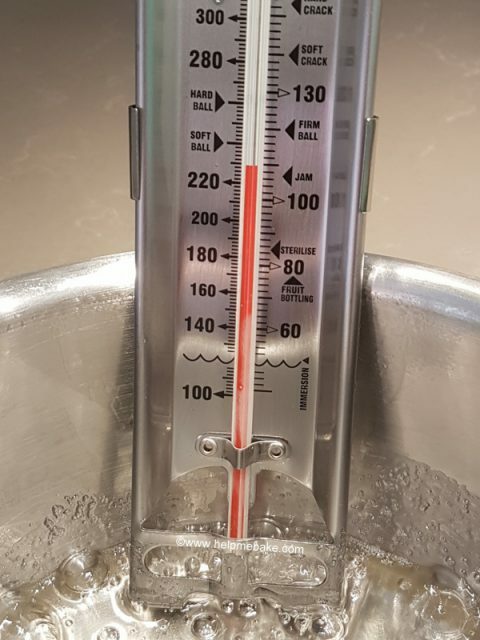 The thermometer is free from mercury and has clearly marked gauges showing the setting points for jams and sugars which will help you to determine accurate consistencies such as soft ball, hard ball and soft crack etc. It also displays temperature points for both fish and chips and can be used for deep fat frying. It reads temperatures between 60° – 200° Centigrade and shows it’s Fahrenheit equivalent. The thermometer is easy to use, easy to clean and robust in nature. It’s a great price, and I would happily recommend. That looks a really nice one, I had one similar but it didn't have the clip on the back or all the settings you've described. It is Joan it's only about a fiver and it's really good quality, I was really impressed with it. I think eventually the bottom frame of it broke, it will probably be in a box I've got that holds all odd utensils, knives, forks, spoons etc. That sits under the printer in my office. Do you rummage through the bits when you need them? 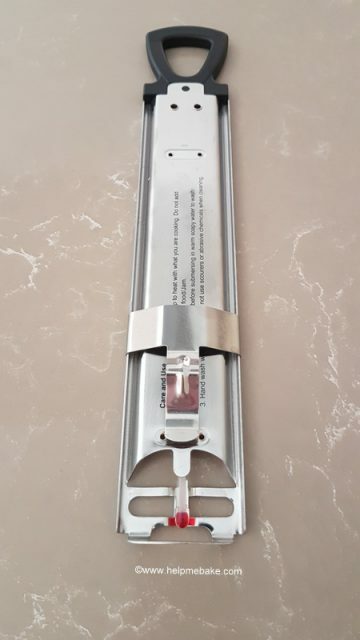 This one is really sturdy and the clip was great to hold onto the pan. I must admit I wasn't sure if it would sit unaided in my smaller pan but it was fine. I do rummage every so often Angie, there are so many utensils in there for using to eat with and prepare food with so I've got plenty to go through if I want to. It's just part of my usual back up supplies, , I hate to think of running out of anything or something breaking and not having another to replace it while the original is mended or whatever. It's like my food cupboards, the ones on the wall are the ones used every day and the bottom ones hold the backup supply. I buy when things are on offer so they go down in the bottom cupboards, it means then I don't have to buy some things for a few weeks, the same with the frozen stuff, the fridge/freezer in the kitchen is the everyday one then I have another 2 under counter freezers as backup, there's also a normal sized fridge in my office which is just for the guinea pig veg. I bet you've got some 'vintage' stuff in there that would go for a fortune on eBay. PrevPrevThe best way to crack an egg?